Stonehenge is the ultimate expression of the Spiritual, Artistic, Cultural and Technical understanding of the Peoples and Cultures that collaborated on its building. Scholars can argue whether these were the ancient Hyperborean's, the people later to become known as the Picts, the Welsh and indigenous ancient Britons, Pre Celtic Proto-Druids. Latter Bronze / Early Iron, Beaker Age people. But to us they are simply the Ancestors. The very Giants (Metaphorically speaking) on whose shoulders we sit. The founders of our nation. Who by their exploits put the Might in this once green and pleasant land. The isle of the Mighty. WHY DID THEY BUILD IT? 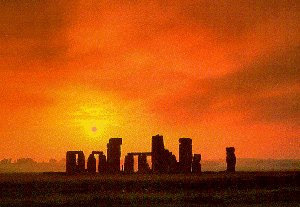 Based on what must have been, hundreds of years of observations, Stonehenge's Primary function was that of a great Solar clock. A means to map out direction and seasonal cycles. A devise to tell with some certainty when to plant, when your very survival was dependent on getting it right. Later alignments and refinements where incorporated over hundreds of years and it became a gathering point and a place of worship. A place to celebrate the full round of life and to honour the dead. It was built to map out, and to stand the test, of time. Early mans compass and watch, interpreted by the 'Priest Caste', the Wise, from which we get the word Wizard. A place of Magic to map out also the 'turning of the wheel' and the renewal of the Sun and the cycle of death and rebirth. Carbon dating places the building of Stonehenge between four and a half and four thousand years ago, a time of a harsh climatic downturn. A time of great change, a time when agriculture was in its infancy, a time necessitating the accurate marking and keeping of time ,made possible from the observations of the relationship between the sacred land, and Earth mother and the 'Gods' of the Heavens and the Sky. It must be remembered that Stonehenge was not built overnight and was the culmination of hundreds (if not thousands) of years of observations. The final 'build' of the final 'Phase' of Stonehenge could have been as long ago as four thousand years ago, but who is to say it was ever completed or what the future holds for this once proud and majestic Temple. WHAT ELSE WAS GOING ON IN THE REGION? People from North, South, East and West had been building special places, a great variety of which survive in Wiltshire to this day, marking this as a very significant place within an island littered with the special and the sacred. Clearly the Ancestors were able to solve complex problems, create amazing designs and execute them in Stone with great precision using simple tools. They could only achieve this by managing people and resources effectively and co-operating with others not only on a local level but sometimes between people hundreds of miles apart. The simple logistics, (even with tacit support only) of the 'tribes' to bring the stone over such great distances would need an amount of co-operation between what would normally be seen as 'warring factions' and would be seem to show either a hierarchy hitherto unknown or lost in the mists of time, or a strength of purpose and unity the likes of which we may only imagine…..
WHAT IS THE THEORETICAL BASIS FOR YOUR INTERPRETATION? Our sources are more widely inclusive than that of any single scientific discipline. We follow developments in Archaeology, Anthropology, Climate Science etc, all of which contribute greatly to the evidence pool. In addition to these sources we are accepting of the concept that some ideas from the period of the Stonehenge Ancestors may have survived the transition into the Iron-age and beyond. So we study the folk-lore and legends and the Legal systems of Britain and Ireland to gain greater insight into the values and beliefs, some of which may reflect earlier traditions…..
WHAT IS THE SIGNIFICANCE OF THE SITE NOW? When they are returned it will be like re-consecrating the cathedral, albeit a Cathedral in need of some repair but a Cathedral and living, working Temple nonetheless ……. WHO SHOULD HAVE ACCESS TO IT? Pilgrims, visitors, tourists, in short the General Public. 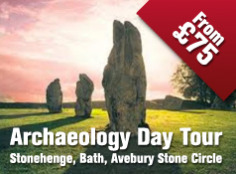 The people of Britain especially believe it is their 'right' to walk among the stones as they do at nearby Avebury - also in the World Heritage Site. Free and Open access must be the goal. You cannot wrap it in cotton wool in the name of preservation nor should you preserve it circa 1950's. It is a living, working Temple and should be treated as such. WHAT SHOULD THE FUTURE BE? A serious clash of Cultures comes however with the retention of the Ancient Dead by the scientific community. Currently we are campaigning for the return of the Ancient Human Remains, taken from Aubrey Hole Seven. The scientific community wishing to retain them for re-testing. We on the other hand wishing them to be re-buried. It is a matter of common decency, Let those we lay to rest, stay at rest as we see it. One supported by members of all the major faiths and those who have no faith at all. The A-Z of religion signing our petition everyone from Anglican to Zoroastrian. WHAT CONSERVATION PLAN FOR THE FUTURE? 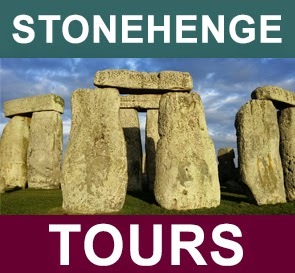 Stonehenge should not be seen in isolation nor viewed as it is now. Likened to a snared animal with ropes, electric and barbed wire fences around it. It should be accessed 'on foot' and viewed in context with the sacred landscape. Roads and visitors facilities should be at a discreet distance. Long term I personally can see no better legacy to leave to our future generations yet to come that to rebuild it, to its one true and former glory. A great visionary project for a once Great and Mighty Nation …..